Folded clothing in your dresser, wardrobe, and closet organizer drawers tends to become a disorganized mess. The standard practice of stacking clothes in these areas is antiquated and doesn’t optimize your bedroom’s storage space. The “KonMari Method” of vertical clothes folding from Japanese organizing consultant Marie Kondo changes all of this. She’s the best-selling author of The Life-Changing Magic of Tidying Up: The Japanese Art of Decluttering and Organizing. Using her clothes folding method, you can keep your drawers organized and gain up to 50% more drawer space. Think about the way your clothes drawers are currently organized. Most likely, your items of clothing are just piled on top of one another, meaning you’re likely to end up with messy drawers full of wrinkled clothes after rummaging around trying to find a specific item. When your drawers are full, this problem is only compounded. Kondo’s philosophy is simple: by vertically folding your clothes in a precise manner, you can save lots of space by storing them upright in your drawers and keeping everything much more organized. With the KonMari Method, your clothing is folded into a rectangular shape and then compacted or tucked into a tight bundle. This allows them to stand up vertically, much like a file folder in a filing cabinet. You’ll then gain as much as 50% more drawer space that allows you to create rows of your clothing. Now whenever you want a specific piece of clothing, everything is visible, completely accessible, and much more organized. 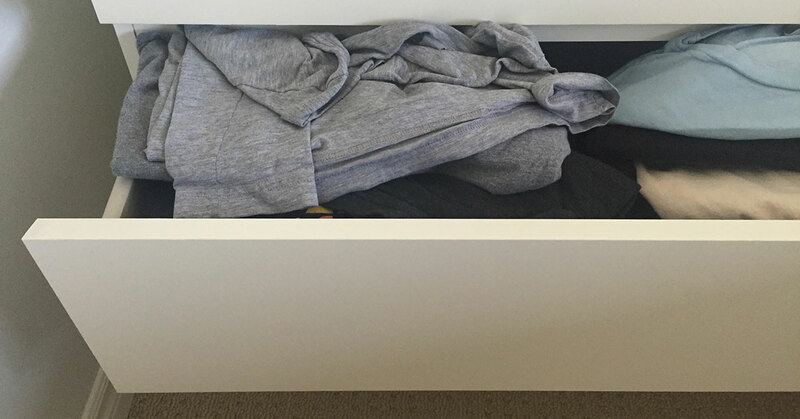 The KonMari Method of vertical folding doesn’t require any extra time to do and can make a world of difference to your drawer space options. 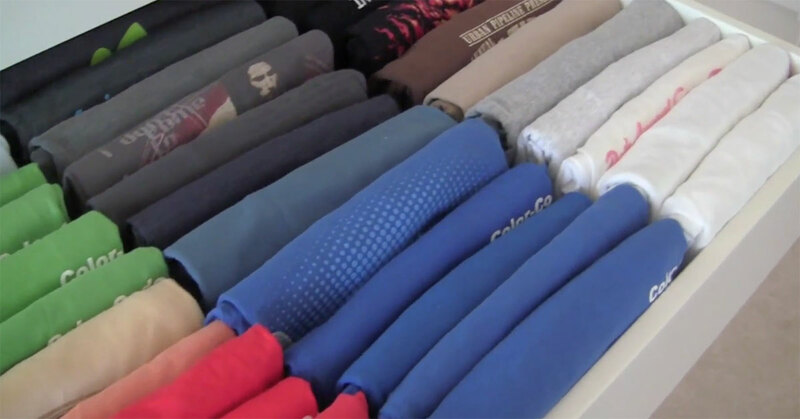 Turn the traditional way of folding your clothes on its head and gain drawer space by using the KonMari Method of vertical folding. For a variety of bedroom drawer options to store your neatly organized clothing, or for bedroom design options resulting from the closet space you’ll gain with your added drawer space, contact us.